Taif Salam and Carez Zozik are two of the 25 students participating in the Iraqi Young Leaders Program at UM. The students enjoyed a campfire and s'mores on UM's campus. 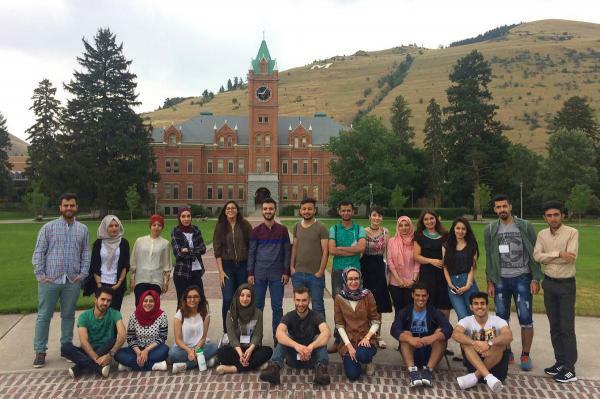 A group of 25 college students from Iraq are in Montana, as part of a Young Leaders Exchange Program arranged by the U.S. State Department and the University of Montana. A group of 25 college students from Iraq is visiting Missoula. They arrived on July 10, just as Iraqi forces were reclaiming the city of Mosul from Islamic State, also known as ISIS. The students are part of an exchange of Iraqi Young Leaders arranged by the U.S. State Department and the University of Montana with a focus on international peace building. As the sun began to set over UM’s campus last Monday, a group of Iraqi college students roasted marshmallows for that classic summertime treat: s’mores. For some of them, it was their first time. Not everyone was a fan. A young woman in a maroon hijab and floral top said marshmallows were a little too sweet for her. Taif is a medical student from the University of Babylon. She says one of the highlights from her first week in Montana was visiting Glacier National Park. "It was a beautiful experience. I have never seen such amazing landscapes except for postcards, of course. We went hiking, which was my first. So it was special. It was real special," Taif says. Brandy Roach is with Vermont-based World Learning, the organization that sorted through 8,000 applications to select the 25 Iraqi students visiting Montana this summer. Roach wasn’t sure what would happen when, a week after his inauguration, President Trump outlawed citizens of Iraq and six other Muslim-majority countries from entering the U.S. for 90 days. "There were talks of having the program just in Istanbul or having the program just in Erbil," says Roach. "It still would have happened in some capacity had it not been in the U.S."
But that would have been a major hiccup, Roach says. President Trump lifted the travel ban on Iraqi citizens in March. But the president's order still affects refugees from Iraq. And as the fighting with Islamic State continues, the number of refugees and displaced people is growing. While the students were hiking in the Rattlesnake Recreation Area just outside Missoula on July 10, U.S.-backed Iraqi forces were reclaiming the city of Mosul after nine months of urban warfare. Mohammed Jawad is a dentistry student from Samawah, a city southeast of Baghdad. “I brought an Iraqi flag with me, and walking around here, saying, ‘Yay, we are free, again! We are free! And of course a big thank you for you, U.S. army who helped us a lot for fighting ISIS,” Jawad says. The battle for Mosul is all but over, but pockets of fighting are still occurring and much of the city lies in ruin. In northern Iraq, Kurdish people are pushing for independence. “My name is Carez Zozik. I’m from Kurdistan region in Iraq." Carez is from the city of Erbil, and studying petroleum engineering. “The difference is that their nationality is Arab. Our nationality is Kurd. We are Kurd, and we have our own language, and we have our own culture, our own clothes, our own everything. Even Kurdistan like is so beautiful, just so similar to Missoula, but Iraq is kind of desert,” Carez says. Craez and the other students had just returned from a trip to Glacier-Waterton International Peace Park. Carez says an independent Kurdistan would be a step in the right direction. In June, Kurdistan authorities announced plans for a referendum in September. “Each family in Kurdistan has someone killed for this land. So they have to consider this and their blood so they should vote for yes. Thank you. Iraq’s future is uncertain, but last week, Carez, Mohammed and Taif were just regular 20-somethings, sitting around a campfire, talking about their hike in Glacier National Park. 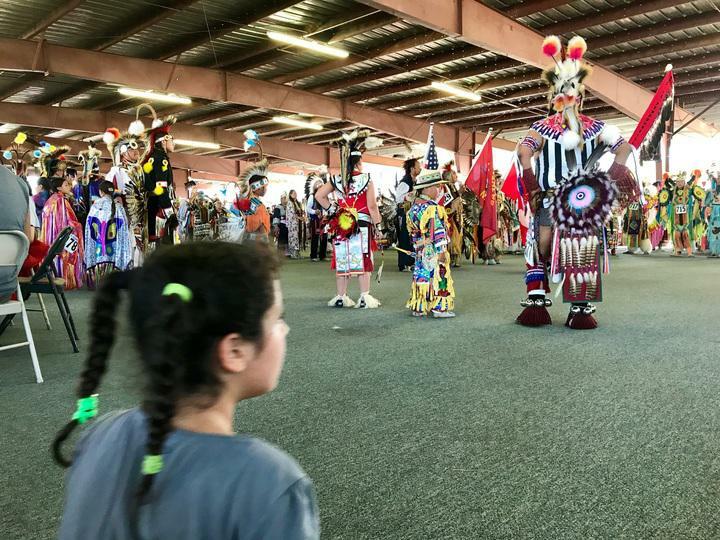 Funding for a Native American language preservation program could get cut next month if revenues don’t increase as the state fiscal year comes to an end. The State-Tribal Relations Interim Committee was briefed by legislative staff Thursday that budget cuts will be triggered in mid-August. Amy Carlson, a Legislative Fiscal Analyst, says state revenues have continued falling below projections since lawmakers passed the state budget in April. Montana’s Office of Public Instruction is unsure if its new draft plan to raise student achievement will comply with federal law. State education leaders are required to submit a plan to the U.S. Department of Education in September, as part of the 2015 Every Student Succeeds Act, or ESSA, which is the federal replacement for No Child Left Behind.